Not all stream-based applications require a dedicated processing cluster. The lightweight Kafka Streams library provides exactly the power and simplicity you need for message handling in microservices and real-time event processing. With the Kafka Streams API, you filter and transform data streams with just Kafka and your application. 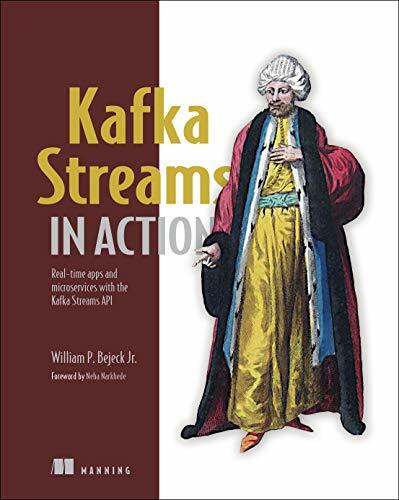 Kafka Streams in Action teaches you to implement stream processing within the Kafka platform. In this easy-to-follow book, you'll explore real-world examples to collect, transform, and aggregate data, work with multiple processors, and handle real-time events. You'll even dive into streaming SQL with KSQL! Practical to the very end, it finishes with testing and operational aspects, such as monitoring and debugging. Assumes some experience with distributed systems. No knowledge of Kafka or streaming applications required. Bill Bejeck is a Kafka Streams contributor and Confluent engineer with over 15 years of software development experience.